Wilderness is renowned for it's hospitality and the natural beauty of the surrounding area. 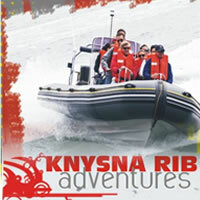 It is set between the Kaaimans River and the Goukama Nature Reserve, whilst being bordered by the Outeniqua Mountains. Wilderness is famous for it tranquil sea and beaches which stretch on forever, and has become an internationally sought after holiday resort. It is also surrounded by many rivers and natural lakes and lagoons. This makes it a great spot for water sport enthusiasts, who flock there regularly. Wilderness also has a great number of craftsmen and women in the area. There work is often for sale and the tourist can pick up many bargains at the monthly craft markets, held in the middle and end of the month. This and many other interesting aspects of the town add to it's rustic charm. This is a place that must be visited by any tourist in the Garden Route, it truly is a place of timeless beauty. Wilderness Tourism Info, Leila's Lane, Wilderness, South Africa.